Bang, this one goes into my all time top three game finds. 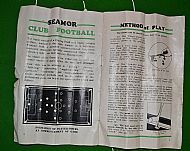 A fabulous vintage game that there is absolutely no mention of anywhere. 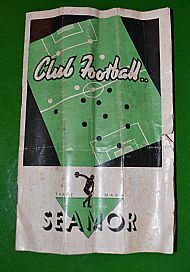 Club Football by Seamor Sports Games of Manchester. 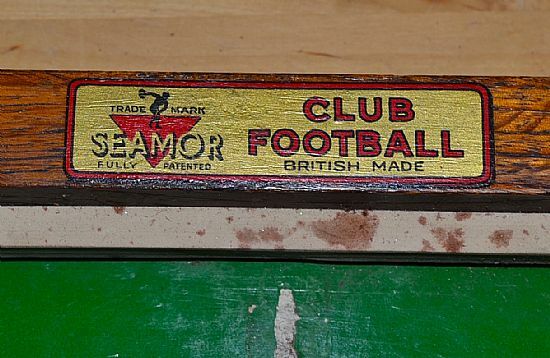 Probably from the late 40s early 1950s and a mix of Subbuteo, Balyna and snooker. 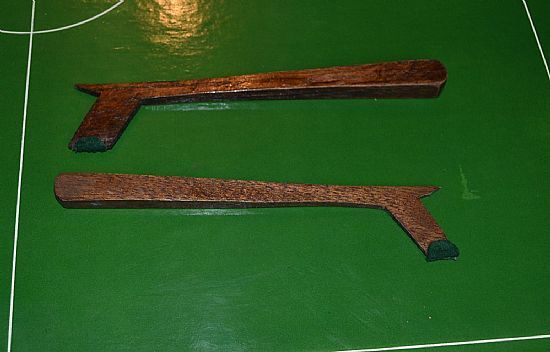 Magnificent old game with polished pitch, baize based playing pieces and wooden game paddles. Missing four players but overall excellent with box. 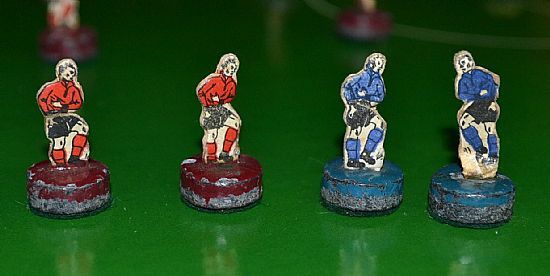 Card printed players in heavy duty metal bases with baize footers. Showing their age, 10 red and 8 blue players. 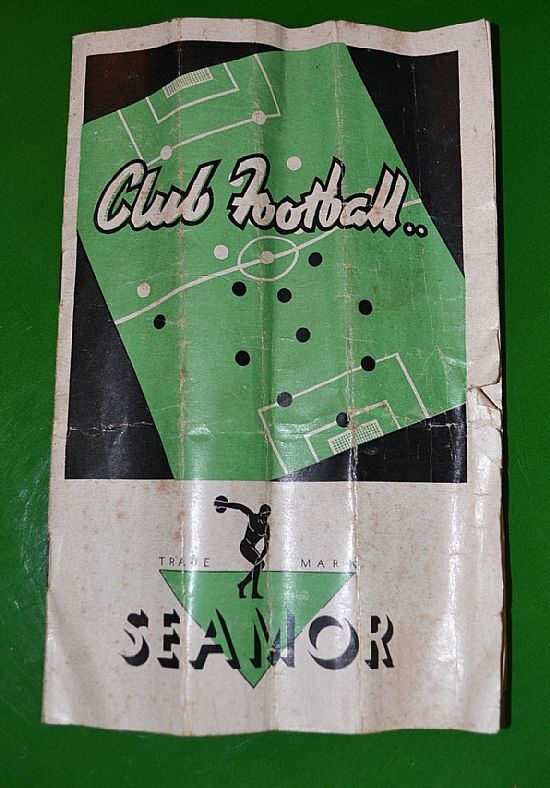 Seamor Sports Games of Manchester. Any information gratefully received. Possibly the most gorgeous ball from any football game ever! 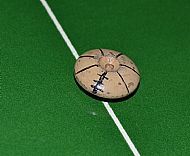 A lovely painted button with baize underneath. Each player is on a very solid base with a baize liner. 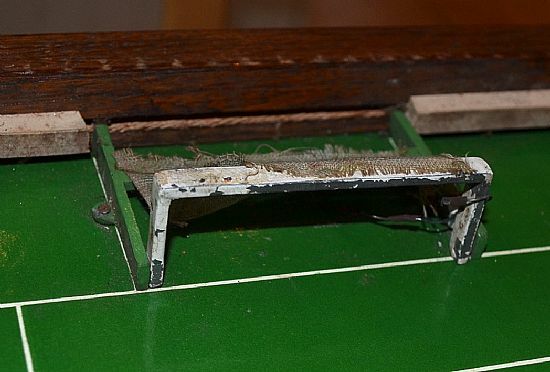 The paddles to push your men around the pitch and the spike with which you take throw ins. 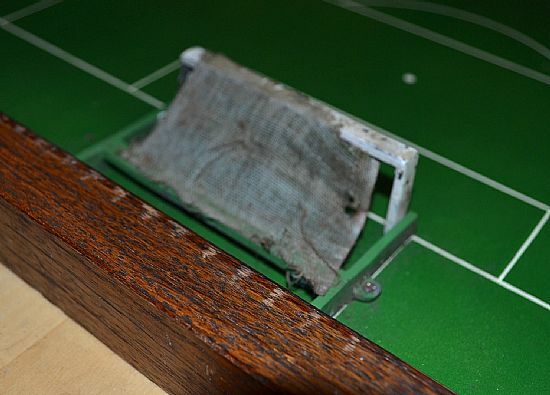 Solid lead goals with netting that fold down into the pitch. 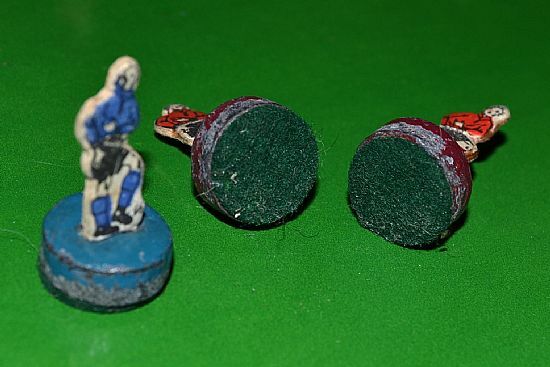 Wonderful goals but sadly worn and torn. The pitch surround is made of very nice wood. 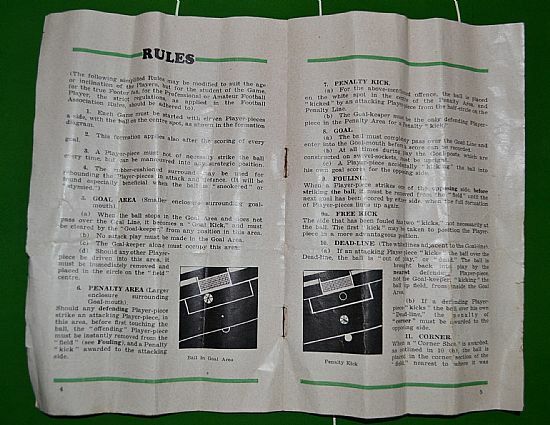 Great rules leaflet but the game is too beautiful and fragile to play now. A full copy of the rules is available for free if you would like one. 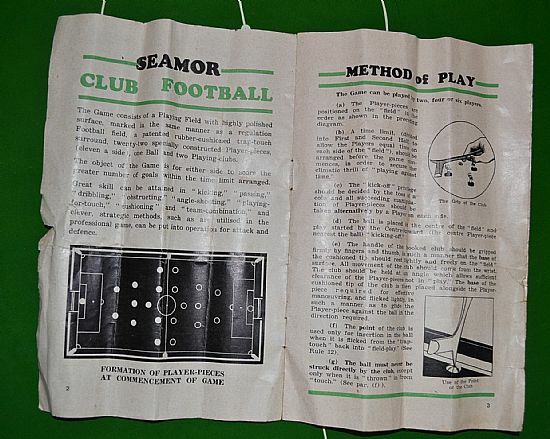 More rules to get familiar with prior to playing the game. 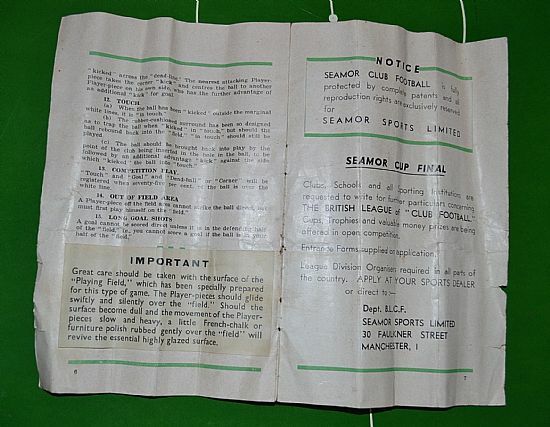 Care of the pitch plus how to join leagues and competitions. I do hope someone remembers playing this game.